The death of Muhammad Ali on June 4 is generating many warm reflections, especially from those who met and admired him, as did I.
Illustrating his lasting legacy across the world are memories sampled below. Some are from the sports world, including from two-time world heavyweight champion George Foreman, Ali's most famous surviving opponent. Another is from boxing historian Thomas Hauser, Ali's biographer. Ali's impact transcends sports, as Foreman eloquently stated in several Tweets soon after Ali's death. 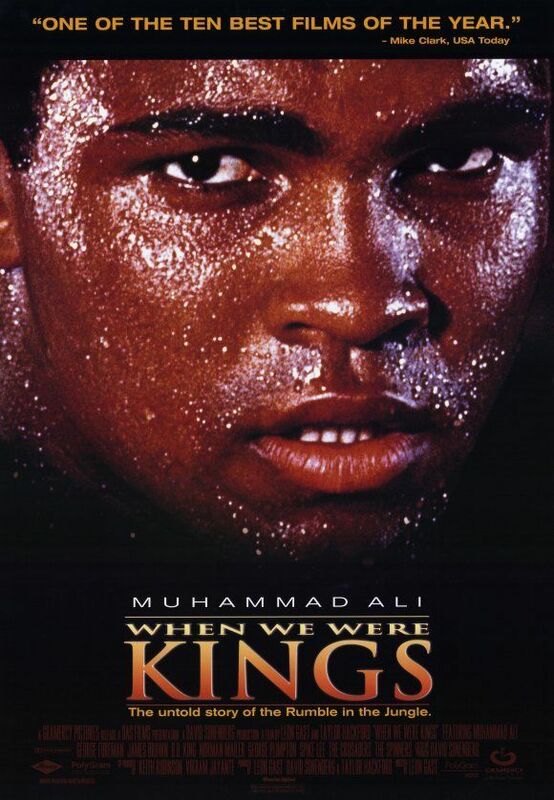 They shared full range of emotions as gladiators in one of the sport's most iconic battles, the 1974 "Rumble in the Jungle" title fight in the Congo (then known as Zaire) that the 1996 documentary When We Kings so memorably portrayed. That fight featured the apogee of Ali's tactic of "Rope a Dope" to wear out an opponent by leaning on ropes to absorb punishment before Ali delivered his knockout (shown here on video). The fight, with the crowd chanting "Ali, bomaye!" (meaning, "Ali, kill him!" in Lingala) helped in a bizarre way to make Ali one of the world's popular public figures -- and likely helped induce the Parkinson's disease that afflicted the fighter for his last 30 years. At right are the haunting final pictures of Ali, taken in Phoenix two months ago by British photographer Zenon Texeira, on assignment from the Sun. Excerpts from copyright and world exclusive photo shoot are below from the column, Dignity at the End: Ali in the Final Portait. "The importance of Muhammad Ali," they wrote, "goes beyond boxing and embeds itself in the turbulent times in the 1960s, during the African-American Civil Rights Movement, when the boxer refused military service in Vietnam and called for the equality of all people regardless of religion, social status and skin colour." Included below also is a remarkable CBS News video introduced by anchor Walter Cronkite showing Ali saving a man's life as a Good Samaritan in 1981 by talking the troubled man out of jumping from a ninth-floor ledge in Los Angeles. Also portrayed below are other instinctive acts of Ali's charity and boldness. For example, he declined to meet President Clinton in the White House unless the president reversed an arrogant aide's sudden decision to exclude Hauser from a 1996 celebrity gathering in the Oval Office. Told to me by people who were there: Ali met Elvis Presley only once. He was in Las Vegas training for a fight and went to see Elvis perform. Afterwards, he went backstage, walked into Elvis's dressing room, where Elvis was sitting on a couch surrounded by girls. Ali went over to Elvis and said, "Elvis, you are the King." Elvis untangled himself from the girls, got up, put his hands on Ali's fists and said: "I may be the King. But you, Muhammad, are The Greatest of All Time." I have seen the pictures, unfortunately, all that remains from this incredible encounter: two titans, perhaps the two most important cultural influencers of the second half of the twentieth century. The power of these and other expert treatments cited below far outstrip my own experiences. But mine help provide context for larger lessons. For one, we see from Ali's life how each of us can be inspired by the great dramas unfolding around us if we only look around, whether or not we have met in person. In 1964, Ali (then known as "Cassius Clay") won the heavyweight title with surprising ease from the fearsome former mob enforcer and ex-con Sonny Liston, who had destroyed previous opponents with awesome punching. 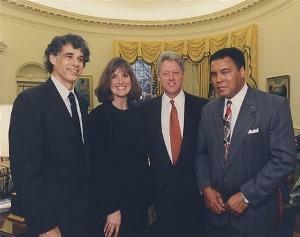 Later, during one of the golden ages of American boxing, I met Ali briefly two times when I was a newspaper reporter. This was after his 1967 ban from boxing by authorities because he had refused draft induction during the Vietnam War by asserting "conscientious objector" status. Many Americans hated Ali for this. Partly the animosity stemmed from what they regarded as his bragging and insults to opponents (his fans called it "showmanship). Many leaders of Ali's new religion railed against whites and oppression with rhetoric -- and bodyguards recruited from prisons -- that was far different-sounding than the Rev. Martin Luther King's brand of non-violent protest. So much social change was occurring that many in the majority white population could not differentiate clearly between Christian non-violent protesters exemplified by King and the more "militant" Black Muslims during an era of civil rights upheavals, riots, and other civic dislocations. The biggest complaint against Ali was that he would object to war despite being a world heavyweight boxing champion who earned his living by knocking out opponents. That contrast seemed preposterous at first to most Americans, including all of the nation's politically appointed boxing commissions. Ali opposed the war at a time when "The Best and Brightest" of government officials, business leaders and academics were unified behind the war, as a est-seller of the time reporter. Boxing and champions attracted far more attention in the 1960s than now. There were just two or three TV channels in most parts of the nation, and many fewer sports and other diversions competing for attention. Large sections of the public were transfixed by the exciting pre-fight rituals, culminating in on-screen battles nearly everyone followed. It's worth a few moments reflection to consider how many dozens of American expressions come from boxing. Let's sample a few. "In my corner" is one. There's "Throw in the towel" and "going down for the count." Then there's "on the ropes" -- and, on and on in our language and thinking. But the boxing titles were usually unified, meaning there would be one and only one "heavyweight champ" in the world. Greedy promoters and other participants have since split the titles into an alphabet-soup (WBA, WBC, WBF, etc.) of ranking organizations that enable many "champions" in each weight class. The confusion tends to prevent any one fighter from capturing public favor, as of yore. Seizing the limelight with more charisma and talent than (arguably) any heavyweight in history, Ali then shocked the public by opposing the Vietnam War. He used a unique combination of logic, lectures, bombast, "poetry," idealism, and gut instinct. Opponents rarely failed to point out that he had "failed the Army mental test," regarded as one made easy so that Army's ranks could be filled with draftees sent to fight in Vietnam, but many public appearances showed that Ali seldom lost a battle of wits. Ali's suspension occurred during deployments of up to six hundred thousand Americans at a time on what federal officials described as a patriotic mission. Family members of those serving often became infuriated at Ali, who was widely portrayed in the media as the nation's most infamous shirker. By 1967, more than 11,000 were dying annually in a toll that continued above that level for two more years. that also took millions of Vietnamese lives before the U.S. withdrawal in 1975. As one example of the high stakes for war protesters, recent scholarship makes a compelling case that all three of America's most important progressive leaders from 1963 through 1968 lost their lives via assassination because of their increasing commitment to peace. Those three included President John F. Kennedy (JFK), who issued a national security order in October 1963, one month before his death, that began a draw-down of the modest-sized level of "advisors" in Vietnam. The order was secret at the time and couched in language subject to a range of interpretation. But any potentially disloyal government officials of high enough rank would know of its existence and its meaning. One independent scholar who has used his training to push illuminate the issue is Dr. John Newman, a 20-year veteran of Army intelligence who served also as executive assistant to the National Security Agency's director. Newman has become a leading scholar writing about the importance of JFK's 1963 order and the animosity that Kennedy's peace initiatives fostered among his opponents. It now seems clear that government opponents of the president regarding the war, Cuba policies and related issues included rogue operatives in the CIA who could manipulate the covert government operative Lee Harvey Oswald to, at the minimum, act suspiciously. Evidence now abounds that Oswald was a patsy whose government work set him up to be blamed for a killing completed by professional assassins. The other two major assassin victims were Dr. Martin Luther King, Jr. (MLK) and New York Sen. Robert F. Kennedy (RFK). 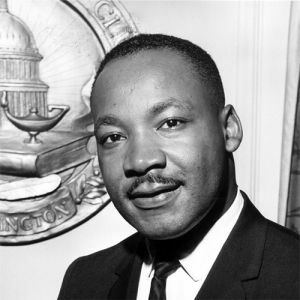 In 1967, King made what many researchers believe were fatal decisions to oppose the Vietnam war and also to combine civil rights advocacy with a broader economic platform seeking economic uplift for the poor, including black sanitation department workers organizing for a union in Memphis, where King was shot. RFK threatened the establishment directly also by his antiwar platform in running for the Democratic nomination for the presidency in 1968 in an effort to succeed the pro-war Democratic incumbent Lyndon B. Johnson. King was fatally shot in April 1968. 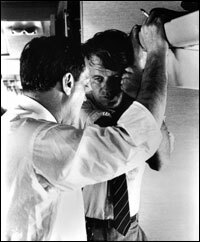 RFK is shown at left on an airplane with his campaign aide Frank Mankiewicz as the candidate learned of MLK's death. The New York senator died two months later just after he won the California Democratic primary on June 4. That victory positioning Kennedy to win his party's nomination and the fall elections. 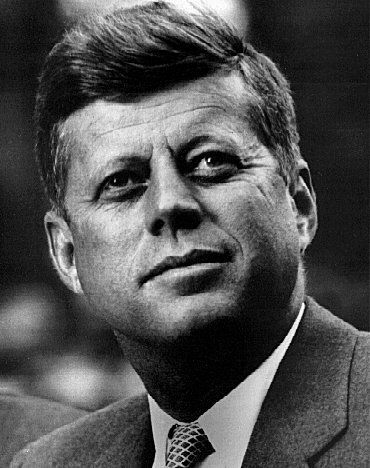 Along with Kennedy's high progressive public agenda, many researchers make the case that he would have mounted a thorough investigation that would have revealed the conspiracy of rogue government and private opponents who conspired to kill his older brother John. All three, JFK, MLK and RFK, were supposedly shot by lone gunmen acting from hatred and with no co-conspirators. The full stories are beyond the scope of this column. But the Justice Integrity Project has summarized the hundreds of books, videos and other scholarship this spring in "Readers Guides" that provide documentation of highly irregular investigations if not treasonous murder and cover-up in each death. Details are below. Ali stuck to his principles throughout these scary and suspicious deaths, including the 1965 murder of Black Muslim leader Malcolm X. He gave up his livelihood while his protests wended their way through the courts. For most of his suspension, the most likely outcome loomed as a five-year prison sentence for him, not just loss of his boxing license. Many in authority, from local draft boards on up, wanted to make an example of him to deter other protesters. It was reported that Ali turned down a sweetheart deal from the military that could have made him a celebrity goodwill ambassador for the troops and the war effort, thereby protecting him from combat. Ali, born Cassius Clay but inspired by his adopted Muslim faith to reject the "slave name," stood his ground on the draft issue. He gave lectures, and ultimately persuaded the New Jersey State Boxing Commission to let him begin boxing again in 1970 while he appealed his conviction. In 1971, he won an 8-0 U.S. Supreme Court ruling voiding his conviction on the grounds that he was a genuine conscientious objector. I followed these matters closely, both as a newspaper reporter who met him briefly while working for the Cornell Daily Sun and later for the Hartford Courant and also as a student of boxing styles from James J. Corbett up to current times. I boxed in college and other tournaments, and twice reached the regional Golden Gloves finals in heavyweight competition in Buffalo, NY and Holyoke, MA. My trainers were Chet Cashman in Ithaca and Johnny Duke in Hartford, two dedicated aficionados of the Sweet Science who worked at community center fight clubs grooming pugs who ranged from punks to pros. In the grand scheme, neither my experiences nor columns about Ali are particularly memorable, especially compared to what others are writing this weekend about Ali's passing. One of those columns below illustrating the range of praise for Ali was written by the conservative scholar, Dr. Paul Craig Roberts. Shown at left, Roberts is a former assistant Treasury secretary during the Reagan administration and former associate editor of the Wall Street Journal who promptly authored the following upon learning of the death, Muhammad Ali, R.I.P. On a more workaday level, I share here a conversation that a police sergeant in Hartford told me about an Ali trip there during the boxing suspension. The fighter showed his good humor even when authorities elsewhere were pursuing him in court and threatening prison. "How's it going, Chief?" Ali greeted the police officer. "Great, Champ. But, I'm not the Chief," the officer replied. "Well, I'm not the Champ, either!" Ali would go on to win back the world heavyweight title by flooring the spectacular, undefeated knockout artist Foreman before a cheering crowd in Zaire. It was one of the greatest upsets in modern sports history. Later, I bought a large framed photo of that eighth-round knockout that had been signed by both fighters. Ever since, it has hung on my hallway wall as daily inspiration for whatever the day ahead might bring each time I walk out the door. 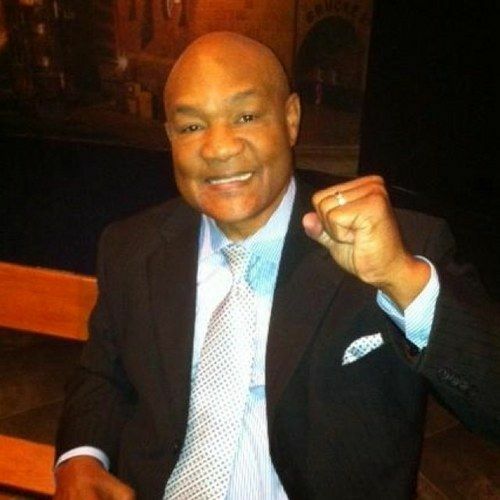 Foreman (shown below in his Twitter feed (shown on his Twitter feed @GeorgeForeman) exemplifies such a story on a more substantial and enduring scale. Seeking spiritual renewal after a near-death experience, Foreman retired from boxing in 1977 and became a born-again Christian minister among the downtrodden in his hometown of Houston, TX. He recalls that his connection with Ali helped make the ministry a success. A decade later, Foreman returned to boxing with and won back the world heavyweight title at age 45, the oldest record, achieved by a canny knockout of the 27-year-old champ Michael Moorer. Foreman is even more famous in recent years as the jovial marketer who has sold more than 100 million of his George Foreman cooking grills. "As far as George Foreman is concerned," Fox News sports commentator Mark Berman wrote June 4, quoting from the former champ's Twitter feed, "Muhammad Ali may have passed but his spirit will live forever." "Believe me, he didn't die," Foreman continued. "He's still alive. Because whenever someone tries to make a stand about anything, stand up for something they believe in, it's like we'll all be saying, 'Another Muhammad Ali.' He's alive forever." President Obama weighed in with a similar verdict: "He shook up the world, and the world's better for it. Rest in peace, Champ." 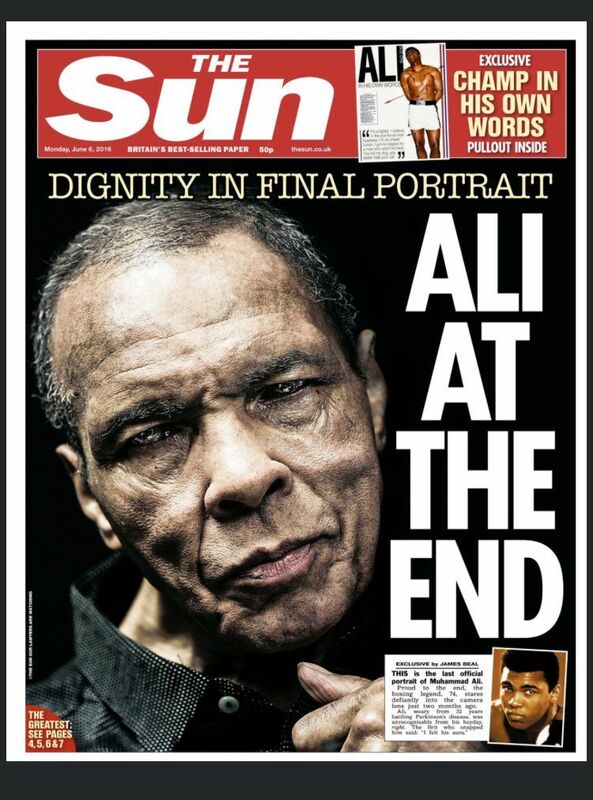 Sun (UK London), Dignity at the End: Ali in the Final Portait, Copyrighted photo by Zenon Texeira, June 5, 2016. The importance of Muhammad Ali goes beyond boxing and embeds itself in the turbulent times in the 1960s, during the African-American Civil Rights Movement, when the boxer refused military service in Vietnam and called for the equality of all people regardless of religion, social status and skin colour. Ali converted to Islam and was a member of the religious organisation the Nation of Islam, like Malcolm X, symbol of the most radical civil rights movement in the 60s. According to Ali’s beliefs, his burial will be led by an imam and conducted under Muslim rites, although members of other religions will participate. Muhammad Ali raises his fists for the last time in his final ever photos; WORLD EXCLUSIVE: Haunting pictures were taken just weeks before the boxing legend’s death. Proud to the end, the boxing legend, 74, stares defiantly into the camera lens just two months ago. Ali, weary from 32 years battling Parkinson’s disease, was unrecognizable from his heyday, right. Last night the Brit photographer who was invited into his home told how the three-time heavyweight boxing champ had lost none of his fighting spirit. Ali, 74, was so frail he had to be helped into a chair in Phoenix, Arizona. But thrilled Coventry snapper Zenon Texeira said: “I knew I was in the presence of greatness.” His historic pictures showing a fragile but defiant Ali just weeks before his death on Saturday have never been published before. Zenon told how the legend’s family gave their blessing to him being photographed. Despite his crippling condition, father-of-nine Ali, famed not only as boxing’s greatest hero but also as a crusader for civil rights, was “in good spirits.” Zenon said: “It was an absolute pleasure and privilege to photograph one of the biggest icons this planet has ever seen. Washington Post, Ali, boxing champ embraced as a global icon, dies at 74, Matt Schudel and Bart Barnes, June 4, 2016. He shocked the world with his skills as a boxer, but gave up his first title to protest the Vietnam War and eventually became an international symbol of brotherhood. Billy Crystal Speech at Ali funeral. One of Crystal’s last remarks brings the crowd to its feet: “[He] taught us that life is best when you build bridges between people and not walls.” One of Crystal’s last remarks brings the crowd to its feet: “[He] taught us that life is best when you build bridges between people and not walls.” It was Ali who stood up for us by standing up for himself. He never lost his sense of humor even though he gave up everythnig esle. PaulCraigRoberts.org, Muhammad Ali, R.I.P., Paul Craig Roberts, June 4, 2016. “The service you do for others is the rent you pay for your room here on Earth.” Cassius Clay, aka Muhammad Ali, died today. 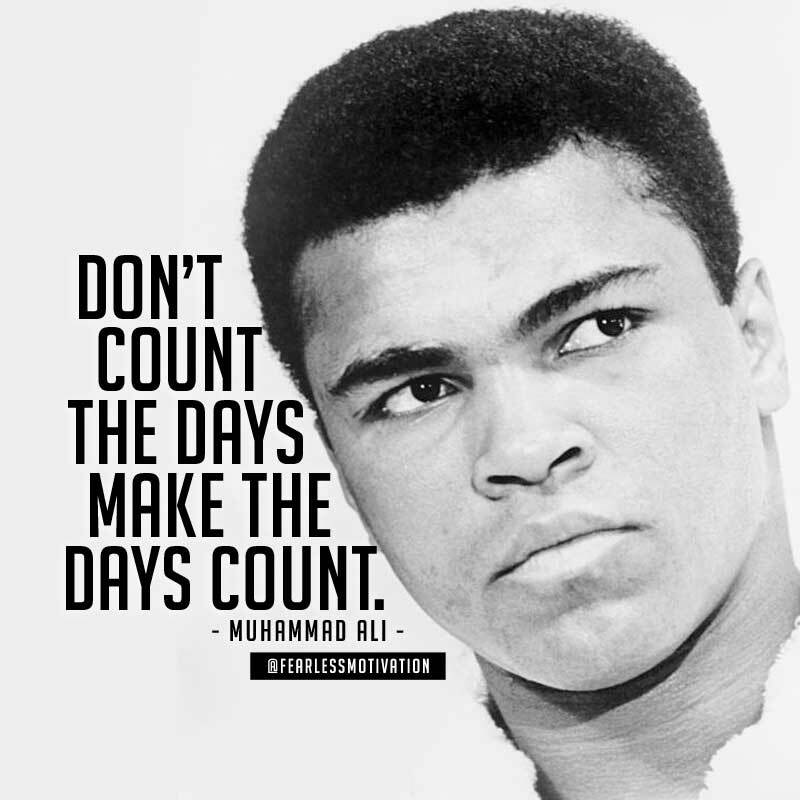 He was a champion boxer and a brave man. He refused conscription into the Vietnam War, was framed up on false draft evasion charges and stripped of his world heavyweight boxing championship. In 1971, the U.S. Supreme Court overturned his false conviction. Stripped of four years of athletic prime by a corrupt U.S. government, Ali returned to the ring and re-won the championship. He won the championship three times and is considered the best boxer of all time, even eclipsing Joe Lewis. CBS News via YouTube, Muhammad Ali saves man from suicide jump, Walter Cronkite with Terry Drinkwater reporting, Jan. 20, 1981. Seconds Out Boxing News, "Did Barbra Streisand Whup Sonny Liston?" Thomas Hauser, June 4, 2016. Boxing writer Thomas Hauser authored in "Muhammad Ali: His Life and Times," published in 1991 by Simon & Schuster. Late last year, the Secret Service was embarrassed by the revelation that an uninvited couple had worked their way past security checkpoints and been photographed with Barack Obama at a White House state dinner honoring the Prime Minister of India. This article is excerpted from "Muhammad Ali: In Perspective" by Thomas Hauser. His most recent book ("An Unforgiving Sport") was published by the University of Arkansas Press. Washington Post, George Foreman on Ali’s death: ‘Part of me just passed with him,’ Gabe Hiatt, June 4, 2016. One of Muhammad Ali’s most memorable victories came at the expense of Foreman, but the “Rumble in the Jungle” rivals later became good friends. National Press Club, Press Club statement on passing of Muhammad Ali, Tommy Burr, June 4, 2016. "The National Press Club collectively mourns the passing of Muhammad Ali. He was the greatest. We recognize him for his great skill as a sportsman, but he was far more than that. He was a social force who challenged and forever changed the way Americans think about race, religion, war and peace. And Muhammad Ali was an absolute gift to the news business. He loved the cameras and was quick with a quote. His picture was everywhere. His words were often like poetry: “Float like a butterfly, sting like a bee.” He was an American original who was beloved by many in his country and known around the world to millions." New York Times, $50 Million Puts Ali in Ring With Elvis and 'American Idol,' Julie Bosman, April 12, 2006. The media entrepreneur who controls the rights to Elvis Presley, "American Idol" and the soccer star David Beckham has added another star to his roster: Muhammad Ali. Robert F. X. Sillerman, the chief executive of the entertainment company CKX, announced yesterday that his company had paid $50 million for an 80 percent stake in Mr. Ali's name, image and likeness. The other 20 percent will be retained by Mr. Ali and his company, GOAT (short for the "greatest of all time"). Mr. Sillerman said it would be premature to discuss how the company would use Mr. Ali's name and likeness, but whatever his company did would be "respectful, methodical and impactful." Mr. Ali, 64, joins other names under Mr. Sillerman's control that have one thing in common: they are instantly recognized around the world. But CKX also has an eye for big names that are not making big money. Politico, Erdoğan fails to grab spotlight at Muhammad Ali’s funeral, Arnau Busquets Guàrdia, June 11, 2016. Turkish President Recep Tayyip Erdoğan abruptly returned home from the United States after organizers of Muhammad Ali’s funeral rejected his request to honor the revered boxer with a special gesture that would highlight his Muslim faith. Erdoğan attended the traditional Muslim prayer ceremony for Ali on Thursday but missed Friday’s funeral in Louisville, Kentucky, according to an AP report. Turkish media reported that Erdoğan was vexed after funeral organizers rejected his request to lay a piece from the cloth covering the Kaaba — located in Islam’s most sacred mosque in Mecca, Saudi Arabia — on Ali’s coffin during a funeral ceremony. They reportedly also denied a request for Turkey’s top cleric, traveling with Erdoğan to the U.S., to read from the Quran at the multi-faith service, attended by 14,000 in Ali’s hometown, according to Turkish Dogan news agency. The Turkish president and his office did not provide a statement on the president’s early return to Istanbul. Erdoğan is a long-time admirer of Ali, who converted to Islam at the age of 22. 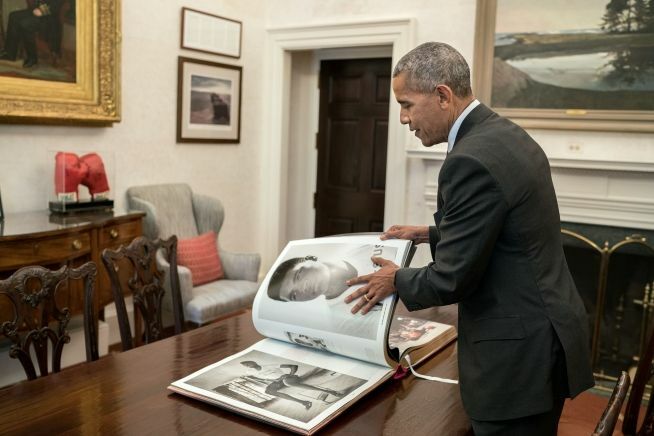 Daily Howler, Muhammad Ali And Who Gets To Be Us: The shrunken state of our leadership! Bob Somerby, June 13, 2016. For our money, brilliant speeches were delivered last Friday by an array of speakers—speakers who ranged from ages 11 and 19 on up. We were struck, as we often are, by the moral and intellectual brilliance, which has emerged from the African-American world as part of our nation's benighted racial history. Again and again, the speeches at last Friday's event often turned on a basic question: Who gets to be us? Again and again, lifelong friends of Ali reported an intriguing conclusion: Everyone does! Everyone gets to be us! Example: Attalah Shabazz was six years old, and physically present, when her father, Malcom X, was shot and killed at a public event in 1965. In her speech last Friday, she described her searching relationship with her father's one-time friend, Ali, a relationship which started some thirteen years later. According to Shabazz, she and Ali discussed his lapsed friendship with her father; they discussed the pain the break in the friendship had caused Ali. "We cried out loud," she said. "And then, just as loudly, we'd laugh, about the best of stories." In her remarkable speech, Shabazz described what Ali told her about his discussions with her father. New York Times, Businesses Explore New Ventures to Cash In on the Muhammad Ali Brand, Richard Sandomir, June 19, 2016. Robert F.X. Sillerman, an entrepreneur, bought 80 percent of Muhammad Ali’s G.O.A.T. company in 2006. He later sold the rights to Ali’s image, which has since ended up with the Authentic Brands Group. Muhammad Ali was near the end of his boxing career when he filmed commercials for d-Con, the pesticide maker, that showed what a delightful spokesman he was — and could have been for a long time. Ali’s increasing inability to move with his former grace or speak with his onetime loquaciousness did not bother the entrepreneur Robert F. X. Sillerman. In 2006, he paid $50 million for 80 percent of Ali’s G.O.A.T. (Greatest of All Time) company to control Ali’s name, image, likeness and publicity. Sillerman vowed to jump-start the Ali brand — which he thought to be woefully underused — without bothering him. “It is not our plan to involve him in any way personally,” he said then. And that is how Ali’s image has been handled since, as the rights acquired by Sillerman’s CKX company were then bought by the private equity firm Apollo Global Management and then by the Authentic Brands Group in 2013. The Justice Integrity Project this spring published "Readers Guides" of key books, videos, documents, websites and other archives most relevant to the three major 1960s assassinations. Readers Guide To RFK Assassination, June 1, 2016. Readers Guide To MLK Assassination, May 26, 2016. Readers Guide To JFK Assassination, April 3, 2016.